Now called Behramkale, this ancient village on Aegean coast of Turkey used to be the site of Aristotle’s Academy. Aristotle was welcomed here after he left Athens and Plato’s Academy and founded his own. 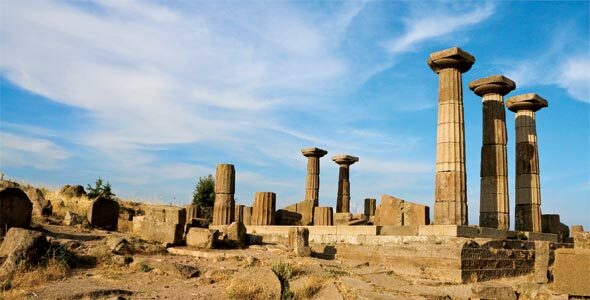 Assos is also the site of Athena’s Temple whose ruins still exist today. This village boasts hilltop views of Aegean sunsets and beaches with crystal clear turquoise waters. Hike up to Athena’s Temple with your loved one and enjoy each other’s company while watching the sun set or take a nice warm nighttime dip together at the beach. If you feel like learning something about history, Assos has an old town with granite houses and cobbled streets where you can walk around in. 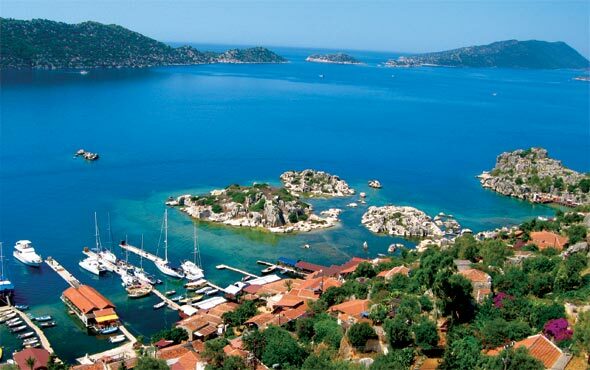 This beautiful region on the southernwestern Mediterranean coast of Turkey is a popular spot, especially to those who are interested in the country’s Lycian civilization. This row of ancient villages and towns not only boasts ruins from the ancient and medieval worlds, it also offers lush greenery, clear blue skies and a beautiful coast. It is a popular yachting destination and a well-known swimming spot for visitors and locals alike. The ancient towns of Teimussa and Simena, which also has a very interesting sunken Lycian city, have large necropoleis and the appealing fishing village of Kaleköy has many ancient and medieval ruins. The village of Demre, a place where St. Nicholas lived, is also located in the area. Whether you are looking for a romantic holiday or an educational one, this region is the place for you. The town of Safranbolu (“the saffron city”) is located near Turkey’s northwestern Black Sea coast, around 6 hours from Istanbul. This historic town has a number of mosques, several rock tombs and historical fountains, a sundial, and a historical clock tower. It also has beautiful Ottoman architectures. Walk around hand-in-hand on its cobbled streets and gaze upon the remnants of history or spend a few hours shopping at the shoemakers market. If you are feeling adventurous, visit the nearby Mencilis Cave, which is the 4th largest cave in the country. Kalkan is an old fishing town on Turkey’s Mediterranean coast that boasts about 300 days of sunshine and clear blue skies a year. It was declared one of the best tourist destinations by the British newspaper The Independent in 2007 because of its unspoiled landscape, its sparkling turquoise Mediterranean waters, its white-washed houses, and the vibrant bougainvillea flowers that decorate the town and serve as a colorful contrast to the white houses. Many water sports enthusiasts visit this town to scuba dive, jet ski, or parasail. Kalkan also has its share of historic sites like the Lycian ruins on Patara Beach.